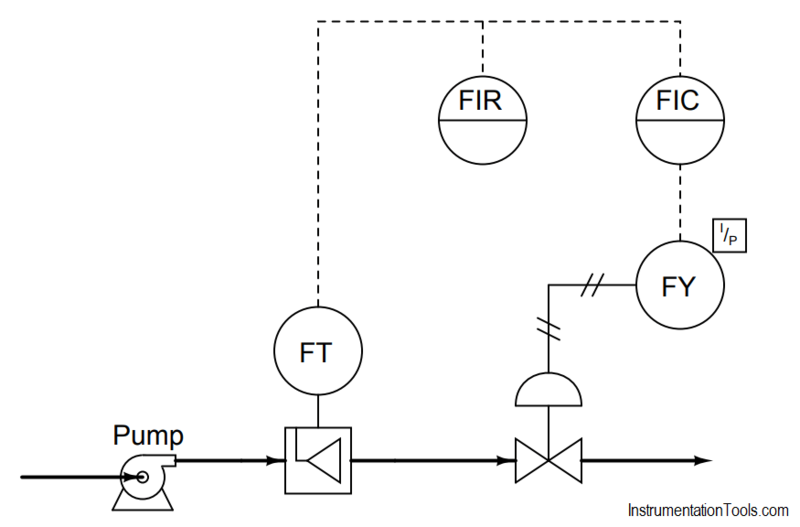 Explain how you would begin troubleshooting this system, and what possible faults could account for the controller not being able to maintain liquid flow at setpoint. Explain how you could divide this control system into distinct areas or zones which you may then begin to refer to when “dividing and conquering” the problem. A good “first test” for troubleshooting the loop is to check the controller output: is it trying to open up the valve?